At Quality Stamping & Manufacturing, we offer in-house tooling, from the initial design through the completed die. Everything is built entirely at our shop in Morris, Minnesota, so you only have to deal with one company for all of your needs. We can work with you through the creation of a prototype through to mass production runs. 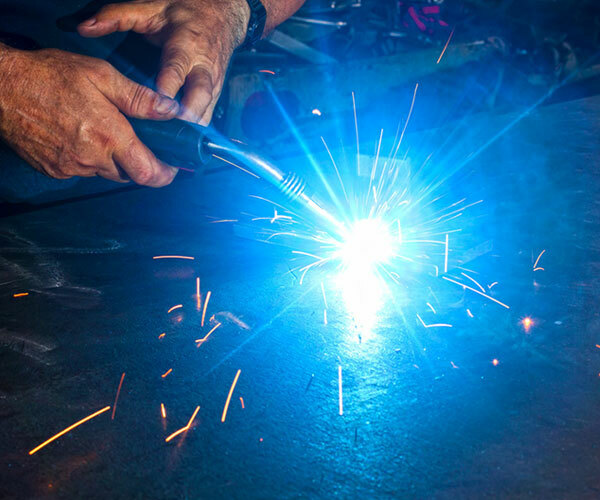 To meet your metal fabrication and welding needs, our experienced team draws on extensive knowledge of materials and processes. We can answer your questions and give you guidance about the best way to proceed regarding materials, dimensions, tolerances and any other special requirements you may have. Whether you need one small prototype or one million assembled parts for distribution, turn to us. In addition to welding and fabrication, we also offer additional valuable services for our clients, including plating and painting. Reach out to our Morris team to learn more. Call us at 320-589-1903 to talk with our experts about your sheet metal fabrication and welding needs. We have decades of experience in sheet metal fabrication and welding, which we use to achieve the best possible results for you. You may also submit your quote request online.